Here at Spilsby Surgery we are now able to offer you, our patients, the opportunity to participate in this survey. You can pick up a survey card the next time you visit the surgery. 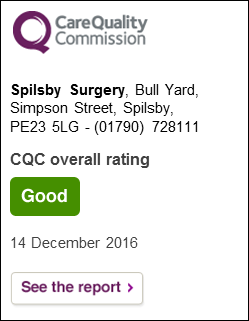 Thank you for your participation in helping to make Spilsby Surgery, your GP Surgery.